Contact our friendly customer care assistants for a free and non-binding price offer for interior and exterior window cleaning now. Dial 020 3746 1366 or fill up the contact form on our website. Gutter cleaning is crucial if you want to maintain your downpipes and gutters unclogged, and protect your building from water damage. Our professional gutter cleaners will use advanced equipment to ensure that all leaves, twigs, dirt and other debris are removed properly. A powerful dry or water vacuum cleaner is used. It has telescopic poles with small cameras, so that the cleaners can see any debris and get rid of it. Ashlee House Cleaning offers a 1-month quality guarantee. If your gutters get clogged within 30 days of the cleaning, we will send a team of cleaners to unclog and clean them again for free! We only hire well-trained roof cleaners who could provide high quality house roof cleaning. Pressure washing equipment is put to use to remove mold, algae, lichen, ugly stains and also any moss from roofs. Your roof needs to be effectively cleaned on a frequently, so that your property looks great, and so that no damage will appear due to debris and all the other detrimental clumps on it. The trouble with organisms which reside on your roof is that they may destroy the roof if left neglected for a long period. Our company offers a trustworthy and inexpensive roof cleaning service, that will save you the hassle of having to go up on your roof or on a ladder to perform the cleaning yourself. Be safe, and get our fully insured cleaning service today. For a professional cleaning of any form of roofs, windows, gutters, do not be reluctant to call us now! We have a straightforward booking system for our window cleaning Bethnal Green E2 services. You can reserve any day of the year for your roof, window or gutter cleaning. We can arrive on the same day whenever you want an express service. We have fixed and good fees. All clients who reserve more than 1 of our services altogether will be offered a price reduction for every additional service. No advance payment is required to book our cleaning services. We have preferential plans for frequent clients, property firms, property managers and for those of you who book early ahead of time. 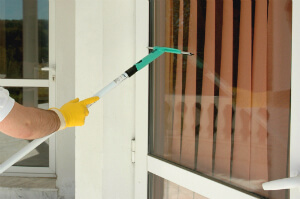 For a professional window cleaning service, do not hesitate to contact our 24/7 customer care service now at 020 3746 1366 or via our web based booking form. You will receive written confirmation in the next Two hours.